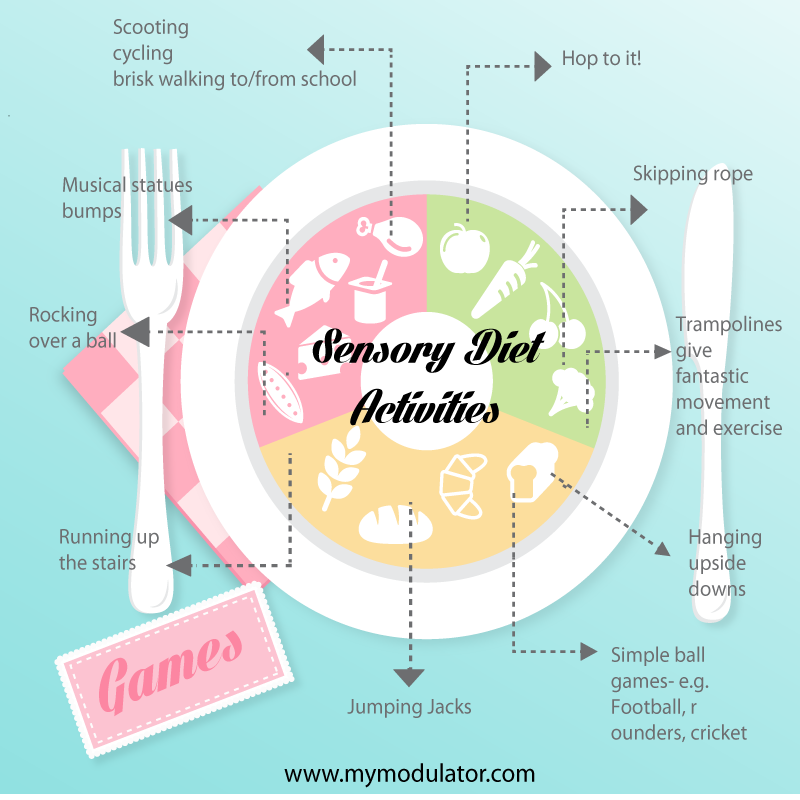 A ‘sensory diet’ as it is known is often a core part of intervention for kids with sensory processing difficulties. 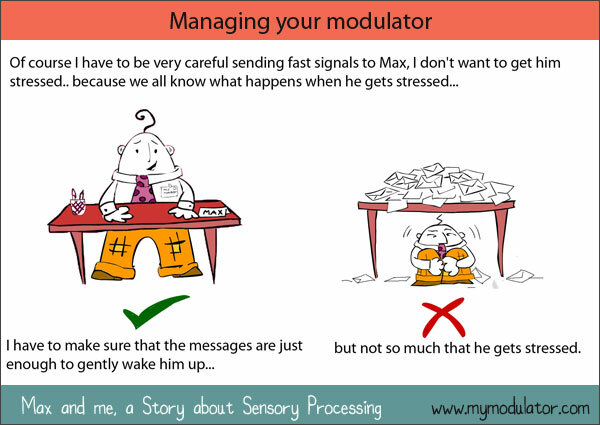 Despite it’s name it’s not to do with eating, it is the idea of ‘feeding’ or sending the child’s sensory system (modulator) the messages it needs so that the modulator can tell the body how to respond in the best way throughout the day. ‘Modulator management’ if you like. One common difficulty parents report (which i can relate to) is fitting in the sensory activities as well as all the other afterschool activities kids nowadays are involved in (art, swimming drama, music etc) and not to mention homework! This can be even more difficult when there are other children in the family, making spare time non-existent! However, in my experience families that find the time to do the activities at home, see the most benefit. 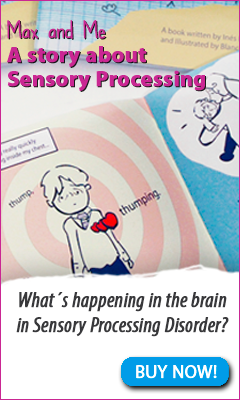 Improvements in sensory processing seen during therapy sessions can be maintained using a sensory diet. 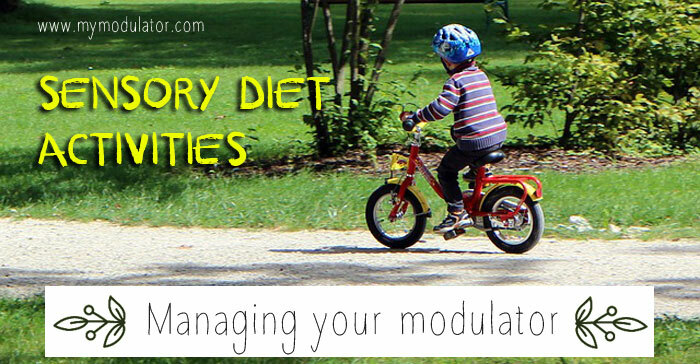 A happy modulator means a happy child which means a happy household! Here are 10 simple movement games I play with my kids that everyone in the family can join in. If you find your child gets overstimulated with movement- talk to your Occupational Therapist about adapting some of these ideas. I’ve started with movement because not only is the movement/balance system critical in organizing the other senses, but exercise in children is so beneficial in improving attention, mood, sleep, and also to decrease the risk of obesity, heart disease and diabetes. All children are supposed to engage in 60 minutes (over the course of the day) of vigorous physical activity every day. This means they should be out of breath and sweating. If you incorporate exercise into your routine when you are travelling anyway, it won’t seem like an extra activity. If you have to drive, try parking a little further away. Either play a game of hopscotch for 20 mins, or hop instead of walk e.g. to the car, hop to the bath, hop to get ready for bed. Great for a rainy day or when you need to sit down for a few minutes! I love skipping as it also develops hand eye coordination and shoulder stability important for fine motor skills. 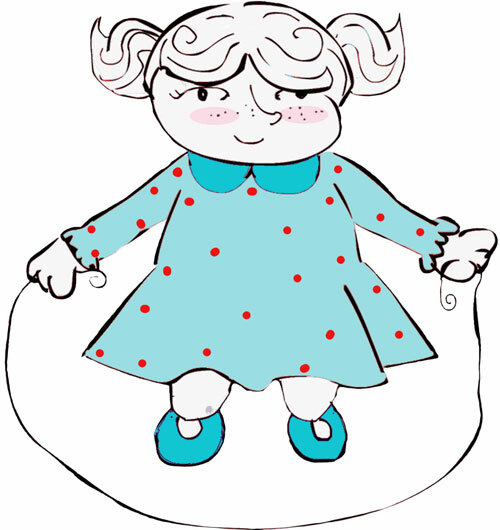 As children don’t tend to play with skipping ropes so much, they may not have learnt how to skip, so tie one end to a chair leg and swing the rope from side to side to begin with. If your child needs lots of messages in the morning to ‘wake their modulator’ up, 10 minutes jumping on the trampoline can be a great start to the day. Smaller indoor trampolines might be a good idea for the winter (or let’s face it all year in Ireland) weather. Set clear safety rules about coming down the stairs on your bottom, to avoid falling and stepping on every step going up. Try asking them to get their clothes for school one at a time from upstairs and time them. If you have a fitness/yoga ball, this can be a really relaxing wind down after the more vigorous activities above. Hold the child’s legs from behind and let them lie on their tummy over the ball and rock them gently backwards and forwards. We play a variation of ‘granny’s footsteps?’ I stand with my back to the children and they have to do Jumping Jacks getting closer to me. When I turn around , if i see them move they have to go back to the start. Play simplified versions of these games. In football one child can open and close their legs (like jumping jacks) to be the goal. In rounders if they hit the ball they have to run around 4 bases before i get the ball into the last base which is a bucket. Being upside down can be very calming for some children. If you don’t have a climbing frame or swing frame they can hang from, try wheelbarrow walks where you hold their legs. Playgrounds offer fantastic movement opportunities, so if you have one on the way home, make it part of your routine to pop in for 20 minutes. 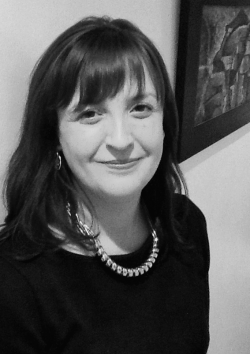 And most importantly – find the fun in the activities. If you are all having fun, your child will be more motivated to keep going.